There's an air of mystery about Jacquemus' Spring '19 woman - you wouldn't know whether she's dressed for the beach or a glamorous night out in the Italian Riviera, says the designer. 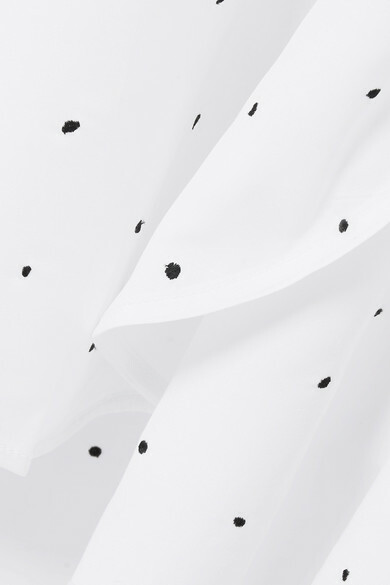 Cut from voile that's embroidered with navy polka-dots, this oversized dress has a seamed placket and handkerchief hem that sways as you move. Wear it casually with slides, or with the 'Bergamo' sandals from the runway. Shown here with: Jacquemus Tote, 1064 Studio Earrings.